During the GW2 Beta I spent much of my time exploring and doing “hearts” to level up. There is still much that could change in the game, so I didn’t focus on the storyline or grabbing screenshots for any real (in character) blog entries. However I still took a lot of pictures anyway and thought I’d share some of them here. Enjoy! 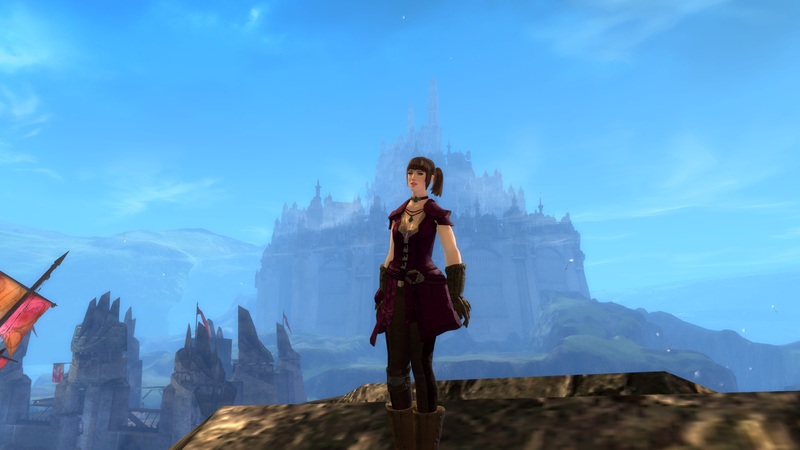 Mirianda was the first and only character I created during the beta. I wanted to see if playing a ranger was viable for this blog. It was my first preference to play, and I was worried about whether the pet would constantly get in my photos. The first obstacle wasn’t the pet, it was the lack of first person view for taking landscape screenshots. I later found a work-around, but it was pretty annoying and inconvenient to use. I’m sure a lot of people have complained about it, so hopefully it will be implemented later. The pets never really got in my way. Some of them were more useful than others, but overall I didn’t pay much attention to what they did in combat (unless they died).